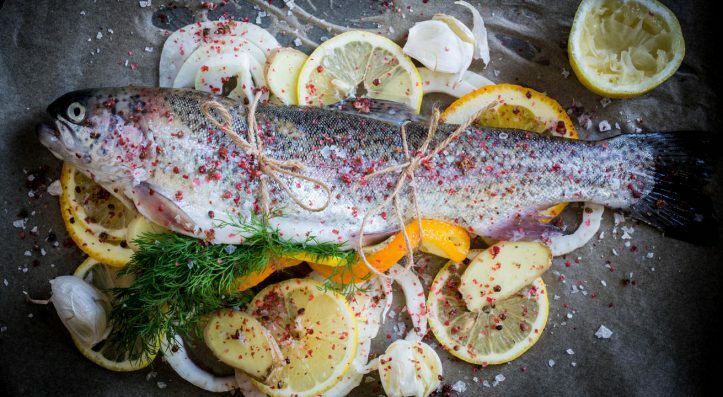 Launched during spring 2018, your local fishmonger has arrived at The Hollies Farm Shop at Little Budworth to bring you fresh fish in Cheshire. We are thrilled about our latest offering to our customers. Fish is a high protein, low fat food that provides a range of health benefits. 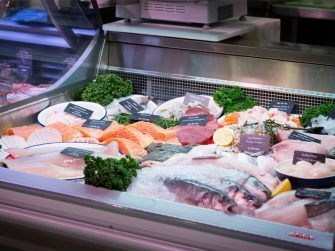 Visit our new fish counter when planning your regular mid week meals, dinner parties, special occasions and more! 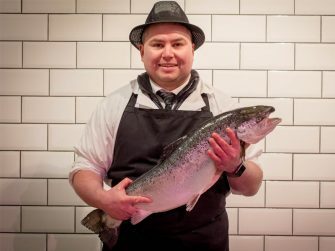 Delivered 5 days per week, our fresh catch will be brought to you by our supplier, Big Fish Little Fish based in Manchester, who offer the highest quality fresh fish produce. Fish is very simple to cook, and our dedicated team are always on hand to offer you help and advice. If you have any special requests or large orders, our team will be happy to arrange this for you. Speak to one of our team in store or call 01829 760171. Liam who joined The Hollies 16 months ago in the role of Shop Assistant in our Little Budworth farm shop. With over 10 years Butchery experience under his belt, Liam transitioned into the Butchery as soon as a vacancy came up, where he became a valued and knowledgeable member of the skilled Butchery team. Liam spent time at Bricklands Fish and Seafood in Hoole learning all about fish. From scaling and filleting to setting up eye catching displays and learning about the best practices for storage both in store and at home, Liam learnt on the job to gain valuable experience in preparation for the new fish counter coming to The Hollies. Liam is confident working with a variety of fish, and has passed on his knowledge to the team here at The Hollies. Click here for our Festive Opening Hours. The fish counter is located in the new extension towards the back of the farm shop at Little Budworth.